Hey Babe! We know you dig up on some cool Watercolor artwork. Right? Check out our new Watercolor Floral Crew Socks! They're as comfy as it is gorgeous! Plus you can get all kinds of stuff that matches. Hooded Blanket. Leggings. Bedding Set. Shoes. Cool, eeh? All of our Crew Socks are custom-made-to-order and handcrafted to the highest quality standards. 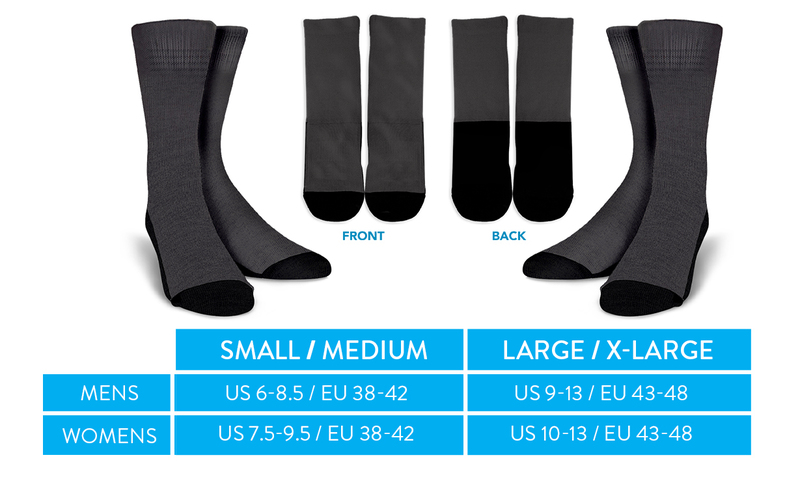 Premium crew socks crafted from a premium fabric blend to enhance moisture-wicking performance. Features upper and lower dynamic arch compression for exceptional support and comfort. High quality print ensures vibrant colors and long lasting durability. Materials: 62% Polyester/ 32% Cotton/ 4% rubber/ 1% Spandex/ 1% Nylon. Please allow 2-4 days to receive a tracking number while your order is hand-crafted, packaged and shipped from our facility. Estimated shipping time is 2-4 weeks. Wicked Skulls Faux Fur Boots!